On New Year’s, according to a recent Washington Post article, we look back on past failures to change and feel an uncommon surge of optimism. We rationalize that it was “the old me” who failed to change, but this year will be different. 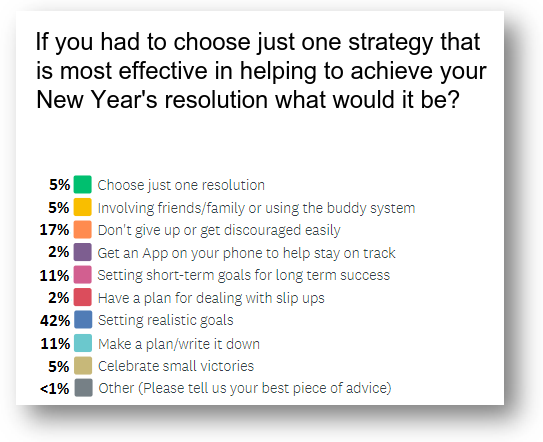 A full 40 percent of Americans make New Year’s resolutions. Many of us find it hard to stick to good behaviors all the time, which might suggest setting easy New Year’s resolutions to avoid the discouraging experience of failure — an experience that can lead us to give up on our goals. On the other hand, research has shown that setting tough-to-attain goals is more motivating than setting easy ones. 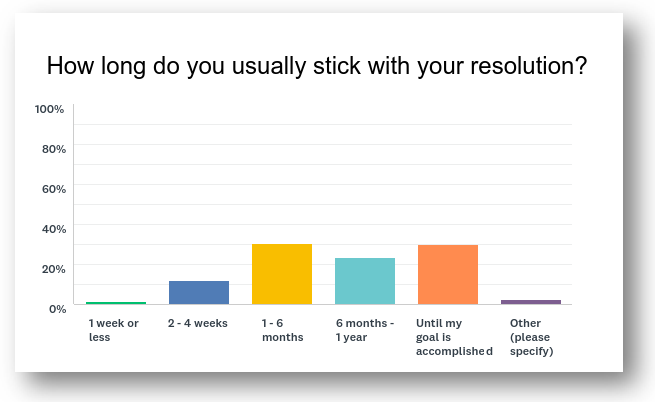 How should you decide on a resolution and, more importantly, what measures do you put into place to ensure you are successful? 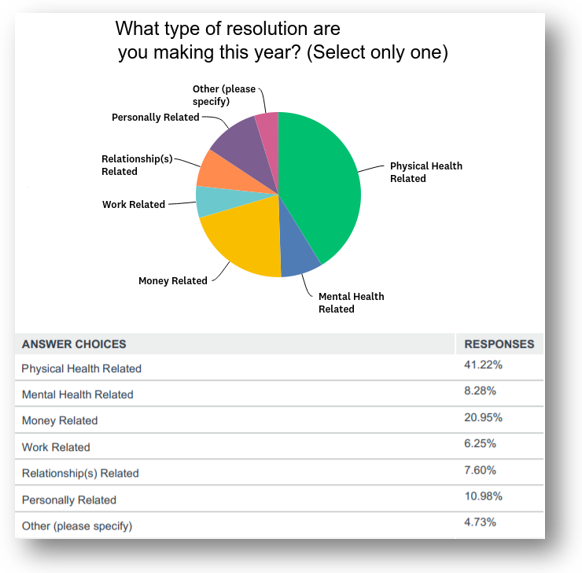 Observation Baltimore recently surveyed Baltimore area residents (N=879) on the topic of resolutions. 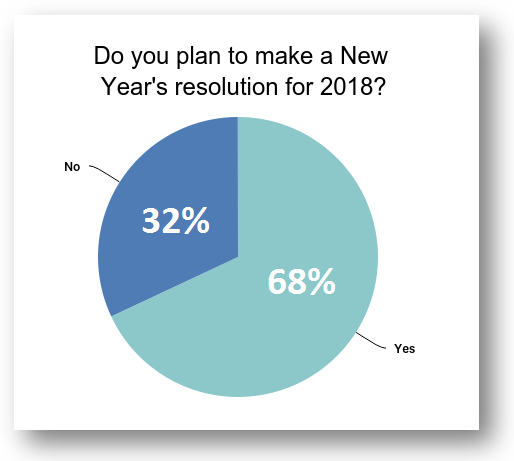 The below results illustrate how residents weighed in on what they feel are the most effective strategies when it comes to choosing and keeping a New Year’s Resolution. At Observation Baltimore, we understand that the success of your research is directly tied to the quality of your participants. Recognized as one of the top Maryland market research facilities, we believe that Experienced Recruiting Makes the Difference. Our experienced recruiting is the foundation of our mission, as well as courteous and proactive hospitality and client services. Just six minutes from BWI airport and AMTRAK, our Baltimore research facility has a great location. Most importantly, we understand market research! To request a summary of the survey data collected for this article contactmolly@obaltimore.com. If you would like to learn more about Observation Baltimore and how we can help with your next project here in Baltimore, contact us today. Visitwww.observationbaltimore.com or call 410-332-0400 and ask for Molly. This entry was posted on Thursday, January 4th, 2018 at 10:42 am. Both comments and pings are currently closed.